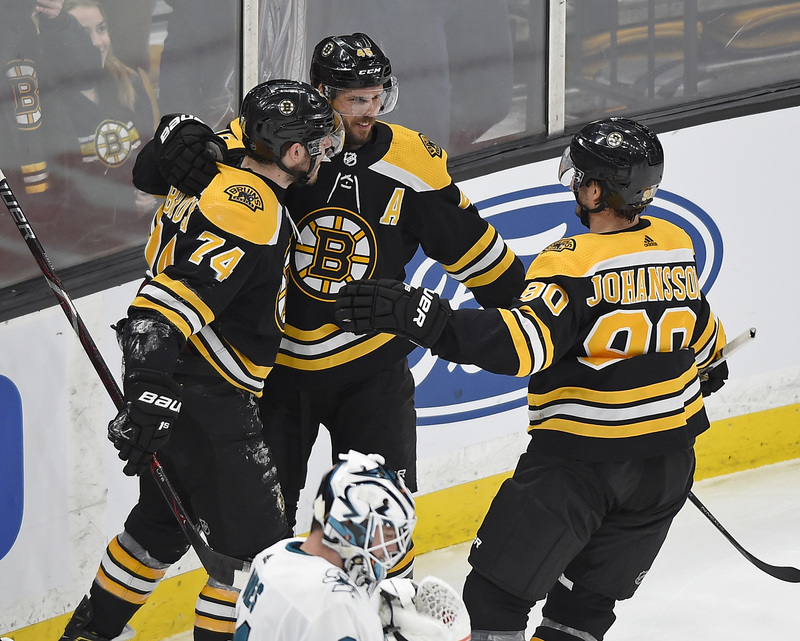 The forward depth and secondary scoring were issues that the Boston Bruins needed to address between the start of the season and the playoffs. While the play of the team itself had certainly improved prior to the trade deadline, the Bruins’ recent acquisitions put them over the top. Fans who scoffed at the names Charlie Coyle and Marcus Johansson because neither was pursued heavily by cup contenders are frustrating at best. These fans also have likely never watched either player at length to effectively assess what it is they bring to the table. I could go for days on how Dirty Don swindled the entire league by flying under the radar to stealthily scoop up two of the most attractive forward options at the deadline. Charlie Coyle brings a puck possessing, playmaking grittiness to the Bruins’ middle 6. Marcus Johansson brings a smooth skating, puck-possessing, playmaking style of hockey to the Bruins’ middle 6. Hey, look at that! Our middle 6 just got twice as good. What were those issues we were talking about earlier? Forward depth and secondary scoring? Smell ya later. But what goes unnoticed with these two is just how deadly they’ll make the already prolific Bruins’ powerplay, which currently sits at 3rd in the league in efficiency. Charlie Coyle is a smooth skating big body who makes plays and has a silky set of mitts. Marcus Johansson is a proven playmaker who was raised on the power play. I’ve heard several reports that his first word was “sauce.” Put a big body like Coyle in front of the net or in the slot (catch ya later, Backes), or let him make plays from the half wall. Tell Johansson to post up on the goal line and have fun. I mean the guy’s name is MoJo—I’m pretty sure he knows how to thread the needle through a few triangles. Is it shocking that two proven power play contributors will get time on the powerplay? Absolutely not. But what the rest of the league might not be ready for is the depth that Coyle and Johansson bring to the Bruins’ second unit. Until recently, the B’s have essentially utilized their first powerplay unit. Not exclusively, but it wasn’t unlikely to see Torey Krug’s unit on the ice for more than a minute and a half of a 2-minute peeper. Granted, the unit had proven to still be effective when tired or when deep into a powerplay. But the additional minutes that the first PP unit has played due to the once massive drop off in efficiency between the two units certainly has the potential to creep in during crunch time. If you’re fuzzy on this phenomenon, maybe watch the game film of the Bruins’ last few overtime games. Holy flatness. Now that there’s a second unit that can wheel and deal, expect the Bruins’ to continue dummy PK units that are forced to share the same ice surface. Two effective units mean shorter, more fast-paced shifts that will wear down opposing defensemen and penalty killers while keeping the Bruins’ top dogs fresh for later in the game when the bench shortens. That’s just about as simple and abbreviated as anyone could make the positive effects that Coyle and Johansson have on the Bruins’ lineup. But I’m a simple man. The Boston Bruins announced this evening that Bruins forward Marcus Johansson has sustained a lung contusion. Tuesday night in Boston, the newly acquired Johansson was injured during the first period of a 4-3 win against the Carolina Hurricanes. Johansson collided with Hurricanes wing Micheal Ferland immediately after dishing the puck to linemate Jake DeBrusk. Johansson would not return to the game after the hit. As it turns out, Johansson was brought to Massachusetts General Hospital, where he was admitted and stayed overnight for observation. The 28-year-old Swede suffered a lung contusion and will be re-evaluated by specialists in a week’s time. Cross your fingers, Bruins fans. Bruce Cassidy on Marcus Johansson (upper body): "He went to the hospital…it looks encouraging, but I don't want to speak out of turn. When tests are done we'll have a better answer." Johansson being sidelined for an extended period would be quite the blow against the Bruins’ postseason aspirations, but given the timeline announced by the team, that likely will not happen. 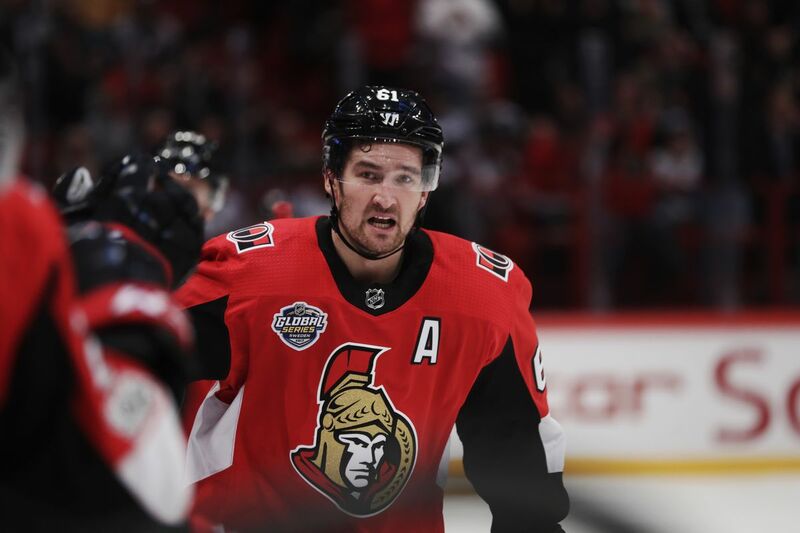 MoJo has a history of concussions — one of them thanks to the antics of new teammate Brad Marchand — so there is almost definitely a feeling of relief in regard to today’s diagnosis. As for the Bruins’ lineup in Johansson’s absence, expect Slovak wing Peter Cehlarik to continue to play right wing on the second line with David Krejci and Jake DeBrusk. Cehlarik did an admirable job filling in for the injured Johansson for the remainder of the game against Carolina and is the best choice out of the options the Bruins have (Joakim Nordstrom and David Backes) to slide into Johansson’s roster spot. With any luck, this will only be a temporary setback for Johansson and the Bruins. Acquiring him was a smart trade deadline move on Bruins General Manager Don Sweeney’s part, and he certainly has a lot to offer. Let’s hope for a smooth recovery and return to the lineup. Similar to last year, late in the season the Bruins now again find themselves playing some of their best hockey in a time where securing a playoff spot is paramount. While they pose no threat to the Lightning in terms of contention for the Presidents’ Trophy, they do have an opportunity to build and secure the necessary chemistry with their post-deadline roster that will be instrumental to their postseason success. If their first couple games with new additions Charlie Coyle and Marcus Johansson are any indication of the Bruins’ current state, then their ceiling is likely higher than any of us may have thought. The needs that Coyle and Johansson address for the Black and Gold are forward depth, and secondary scoring. Both players are proven contributors at the NHL level and bring strong skating, reliability, and even some playoff experience to a relatively young Bruins roster. But what might be overlooked amidst the arrival of these deadline acquisitions is the homegrown talent that the Bruins’ development system has provided to the big club in Peter Cehlarik. After a first half of the season where the absence of secondary scoring was excruciatingly apparent, questions were raised as to who would man David Krejci’s right side, and who would play with Danton Heinen on the third line. Enter Cehlarik, in mid- January. Sure he’s been a regular in the lineup alongside Krejci during the Bruins’ recent stretch of brilliance where they’ve been able to, at the time of this writing, take points in 14 straight games. But I’m not one of those who would advocate that he remain in the lineup because of the team’s success. If he were playing horribly, I’d want him gone. But he hasn’t. So I don’t. Cehlarik brings much more to the Bruin’s squad than taking up space near David Krejci in the musical chairs game that was the second line right wing. And, now that it looks like that spot might be best suited for Marcus Johansson, it becomes all the more important to acknowledge the depth of Cehlarik’s game. At first glance, the most notable asset of Cehlarik’s is his frame. He’s a big boy, but not lost in his size is the grace with which he plays the wing. More than just a big body Bugatti, he’s a strong skater who is heavy on pucks and plays with the poise of a more experienced player. Cehlarik’s patience and puck possession lent themselves well to a forward core that was looking for maintained offensive zone time once 37, 88, and 63 got off the ice. Now, those traits only deepen the Bruins’ forward unit. 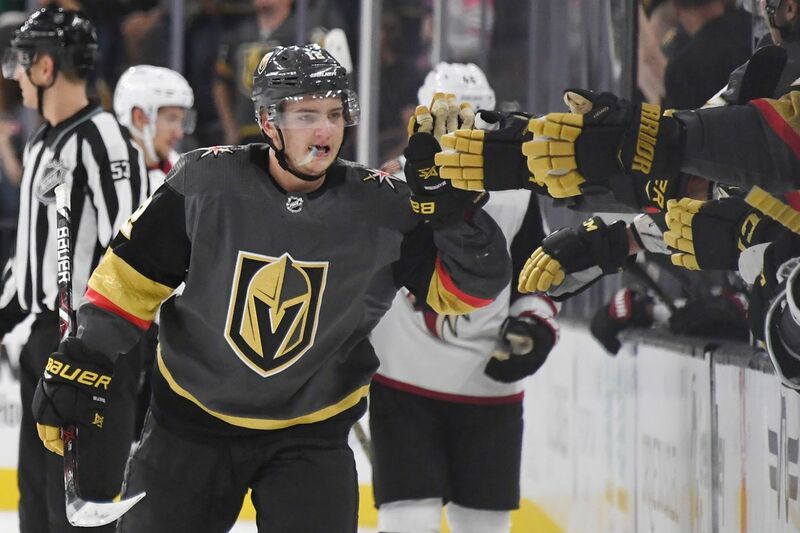 There is no panic in Cehlarik’s game, and he’s shown that he can be effective on both the second line as a right winger or on the third line as a left winger. Now, with Coyle and Johansson joining the Bruins’, Bruce Cassidy essentially has 3 seriously versatile wings that can realistically slot in anywhere among his top 9 forwards. And not just slot in, but affect the game positively. With the B’s fourth line essentially set in stone, many might naturally assume that veteran David Backes or Joakim Nordstrom might be looked to as Coyle’s (for the time being) linemates on the third forward unit. If Cassidy is looking to maximize the effectiveness of his forward lines, playing either of these two would be a mistake. Certainly fans of the Bruins’ will look at Backes’s contract and see that he has underperformed incredibly… so much so that it leaves someone like me wondering if they misplaced a decimal point somewhere in his contract. At any rate, while Backes and Cehlarik both benefit from their size, Cehlarik has proven to be a significantly stronger presence in the offensive zone. While his scoring hasn’t blown anyone away, his PPG is higher than Backes, despite Backes having had almost an entire year to try and grace the scoresheet on the second powerplay unit. Cehlarik has proven to be both a stronger passer and a far more effective and creative playmaker than Backes. If Cassidy decides to play forwards who are oldest, then he should certainly play Backes over Cehlarik. However, if he decides to maximize the potential and effectiveness of his forward units, then expect to see Cehlarik in the lineup. While I don’t suspect that many people will be making a case for Nordstrom to be slotted into the Bruins top 9, there undoubtedly will be a few. These are likely the same fans that scream “SHOOT” as soon as the puck crosses the offensive blueline. It’s likely they’ve seen Nordstrom skate in a straight line and marveled at his speed. Don’t get me wrong, being fast is almost always a good thing. Unless you don’t know how to stop (See: Luis Mendoza, 1994 Junior Goodwill Games). I don’t want to be cynical. I even liked Nordstrom in the lineup at the beginning of the season, when the Bruins would come out flat at times. He brought speed, energy, and in the eyes of this writer he is a strong shot blocker. There’s always room for guys that block shots on my teams. However, like Backes, Nordstrom’s bag of tricks have left him in “No Man’s Land” on a lineup of forwards that has become significantly deeper over the past month and a half. He doesn’t possess the skill and poise that Cehlarik does, and his skating is not enough to counteract that fact. With all of that being said, I do like having two veteran forwards in the on-deck circle. And it’s easy to be objective about the displacement of said veteran forwards from behind a keyboard, and not in the locker room with them (both are, by all accounts, awesome teammates). But that’s exactly how putting together the best possible lineup should be done: objectively. And who knows, with the injury troubles the Bruins have faced this season and for last year’s playoffs (*knocks on wood while crossing fingers, hoping the hockey Gods didn’t hear*), Backes and Nordstrom might be called upon to pinch hit. But until that day comes, I say let Young Celery wheel and deal.